Recently Brooklyn Beckham has been spotted teaching his dad David how to wakeboard, behind a speedboat. 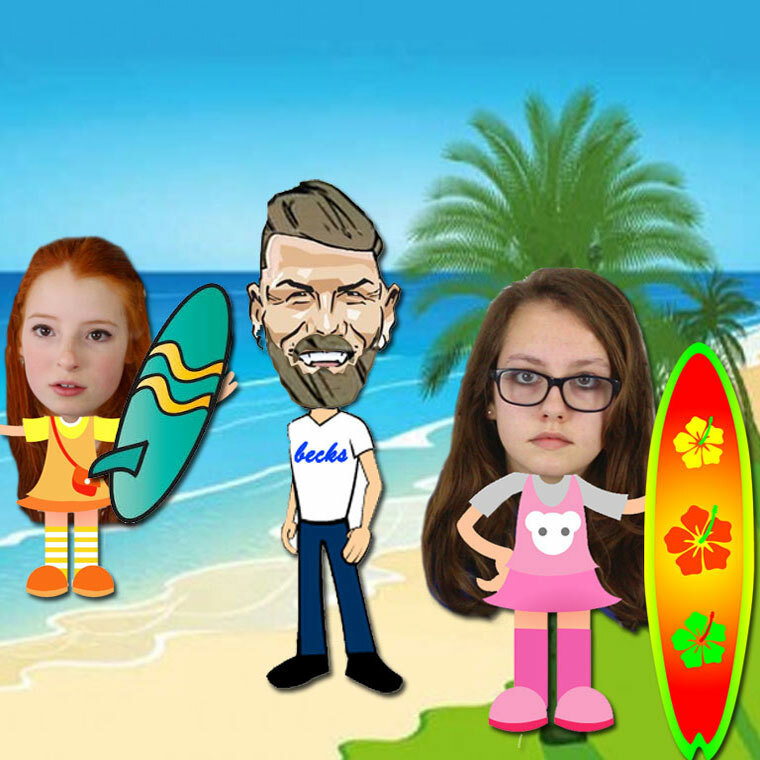 Last week, we got the chance to get some one on one surfing lessons with cartoon David Beckham, who certainly seemed to know his way around a surfboard. Liv really liked her flower-covered surfboard, as she was going for a floral Hawaii-type theme, while Nia went for something simple, opting for a turquoise surfboard with wiggly yellow strips by its tail-fin. The palm tree gave the beach a really tropical and exotic feeling, considering that it was actually Swanage in the winter time! Still, at least there weren't any great white sharks swimming in the sea, probably not anyway.